A guide said it best. "Moscow is a city of unnecessary steps." 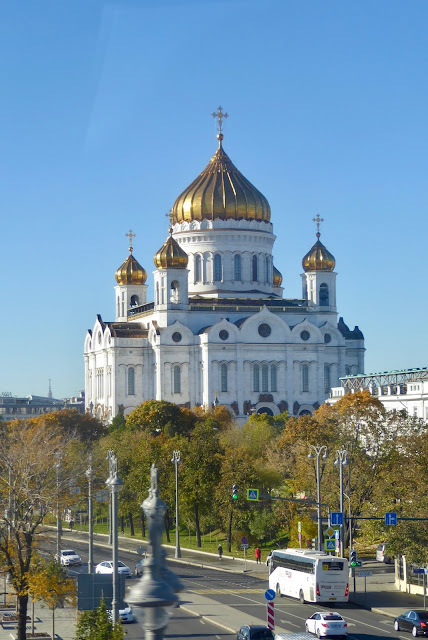 Actually, that goes for all of Eastern Russia you are likely to encounter on a river cruise between Moscow and St. Petersburg. 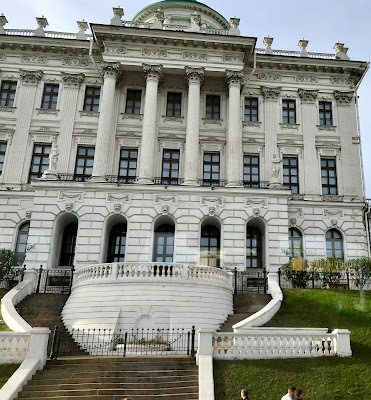 We go to see the grandeur of the Romanovs and are faced with seemingly endless grand stairways to negotiate in addition to the expansive distances of palaces. The good news is that the stairs are shallow and are accompanied by grand banisters. 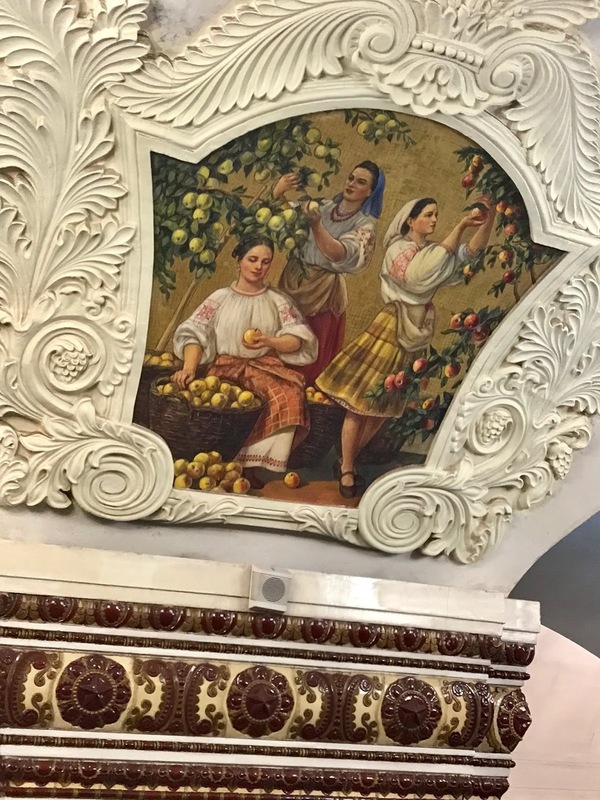 The bad news is that museums like the Hermitage and Faberge in St. Petersburg, the Tretyakov in Moscow are in former palaces. 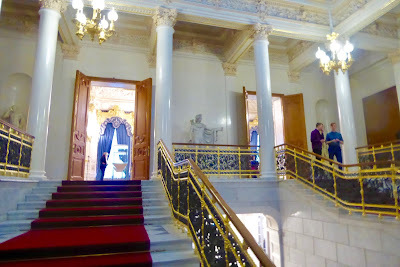 Then there are the palaces themselves; Governor's Palace in Yaroslavl, Peterhof Palace and Park outside of St. Petersburg, Catherine Palace in Pushkin, and Yusupov Place in St. Petersburg. Those are just the beginning. Everything important seems to have been installed in a palace. Without elevators, of course. 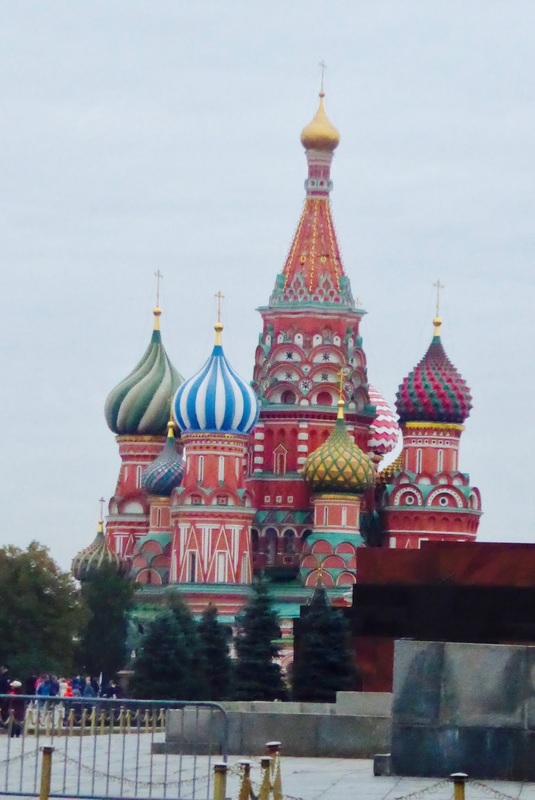 On a recent Viking river cruise in Russia, I didn't climb to the tops of any towers but I did make it through everything else. 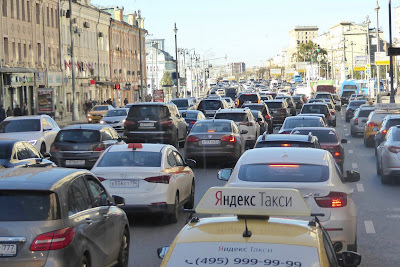 Traffic is like this day and night. 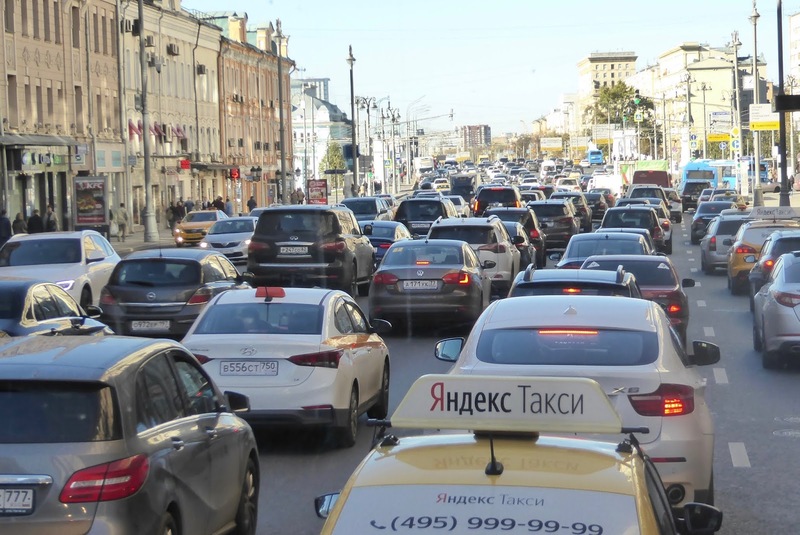 Advisory: According to the Bloomberg Report, Moscow, population 16 million, is the world's most congested city. Believe it. 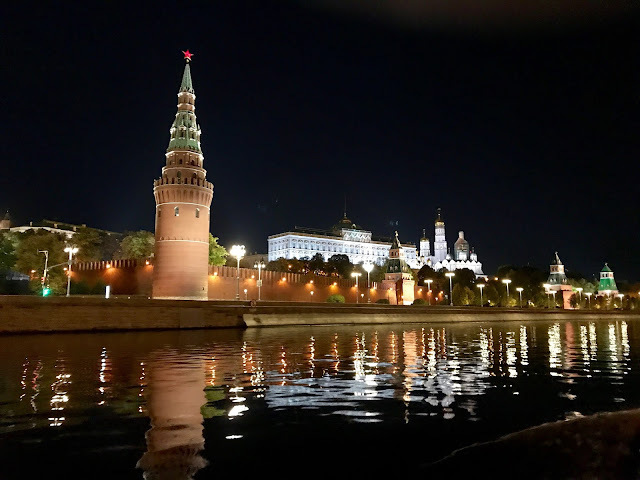 River ships are parked several miles out of town and it will take 45 to 60 minutes to reach inner Moscow. Thus, a 5-hour tour becomes a 3-hour one at best. The Kremlin - it means fortress - is not the gray, barred, foreboding place the Cold War implanted in Western minds. 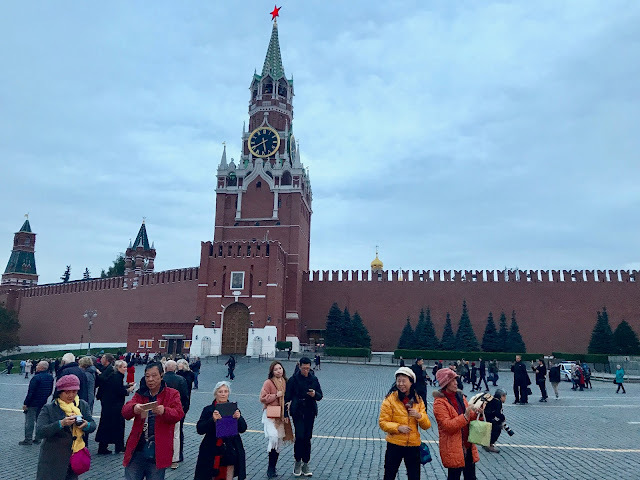 It is a walled - red brick with bright green-trimmed towers - city and visitors must pass through metal detectors to enter, but it is spacious, colorful and frankly, beautiful. 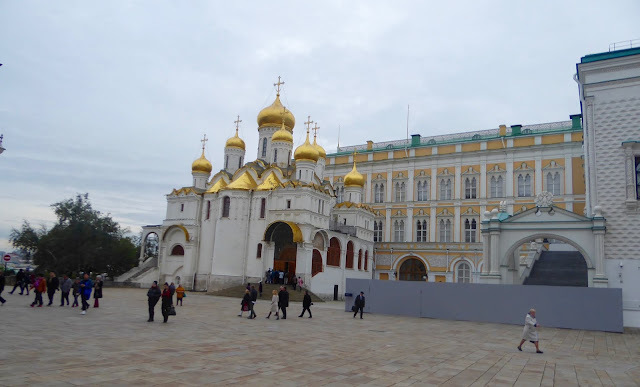 Cathedral Square, where, as the name implies, you are surrounded by gold-domed churches, is spectacular. I found myself slowly turning in circles trying to take it in. The Kremlin Armory houses some of Russia's most precious possessions, from royal coronation wardrobes, crowns, carriages, armor, gifts and thrones to 10 royal Faberge eggs. You could easily spend a day here, but ships' tours are much shorter and crowds can be claustrophobic. Still, it is worth the effort. Items are poorly identified; labels are on brown paper and placed at the bottom of display cases. You definitely need a guide. 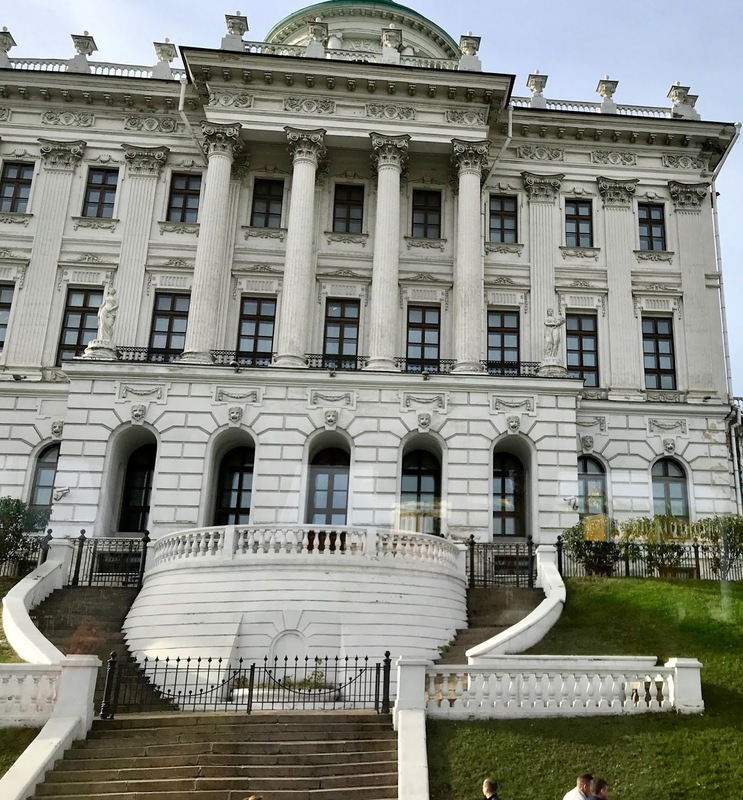 Tip: Two floors, nine rooms, 44 steps to start the tour, 11 more up to the exhibits. Railings, but steeper, smaller steps than most. Red Square is large and stunning, with the extravagance of Gum's (Russians pronounce it Gooms) Department Store facing the Kremlin Walls and the iconic striped and patterned domes at one end. 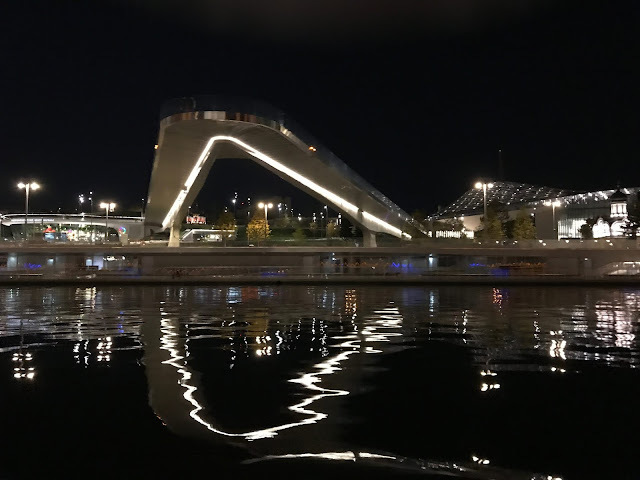 It is especially dramatic at night. 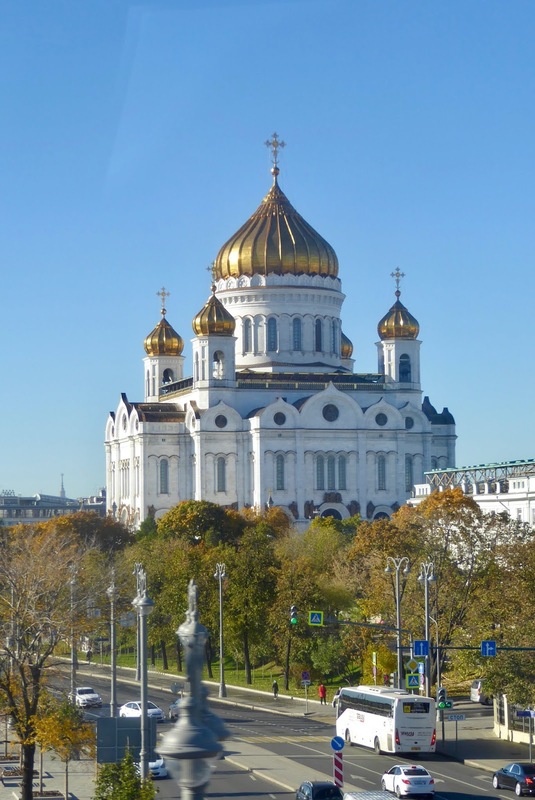 The Pushkin State Museum of Fine Arts is the largest collection of Western Art in Moscow. Although it is housed in a building designed as an art museum, accessibility is limited. 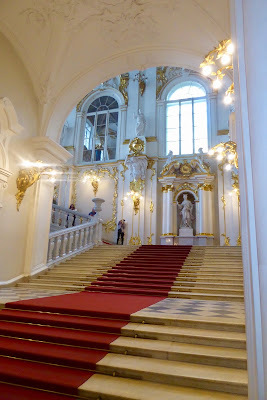 There is an elevator but as in most Russian museums and palaces, access is usually limited to the wheelchair-bound. Didn't get here so no step count. 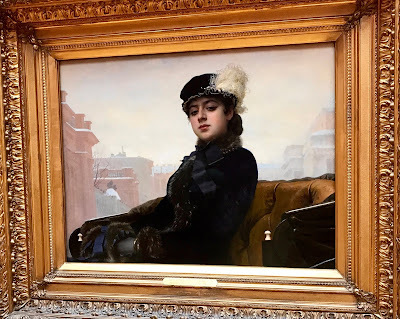 Unknown Lady, 1883, by Ivan Kramskoy, Tretyakov Gallery. Tretyakov Gallery is the result one affluent and astute collector's determination to assemble the best of Russian art from icons to modernists and make it available to the public. By 1892 Pavel Mikhailovich Tretyakov presented 2,000 works to the state. 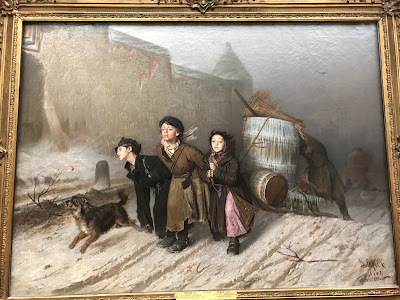 The collection has since been added to and divided, separating Impressionists, Post-Impressionists and Modernists into a museum of their own at another location. 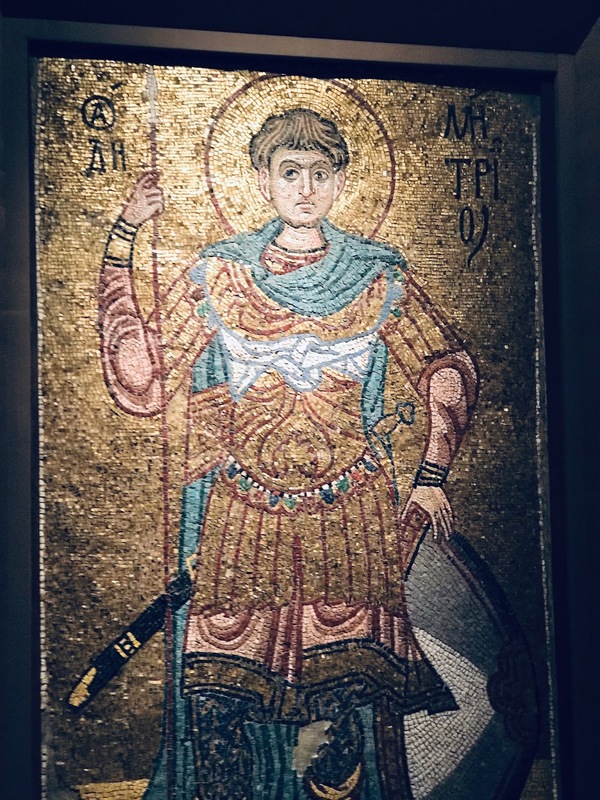 "St. Demetrius of Thessalonica," 1108-1113, Kiev mosaic. Ships' tours will probably take you to the former, which is an absorbing survey of artists and movements little known to Westerners. 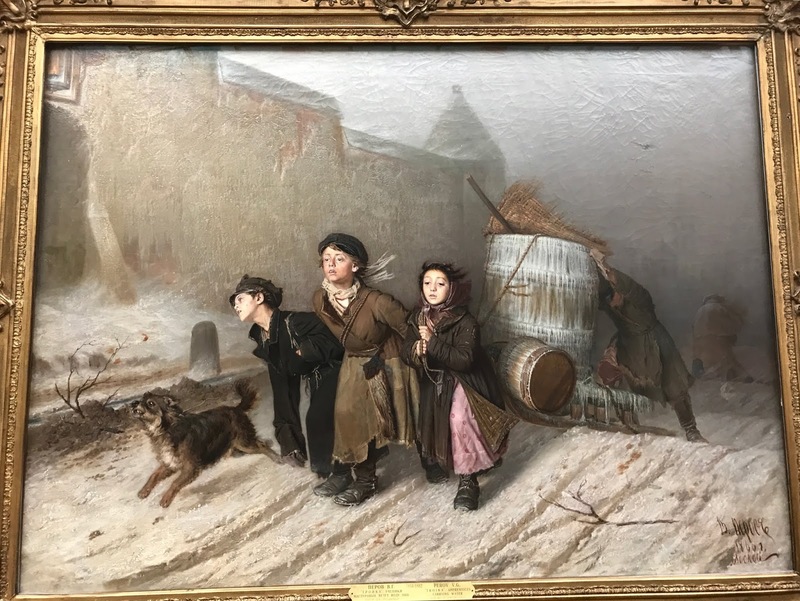 "Troyka, Young Apprentices Pulling a Water Barrel," 1886, by Vasily Perov. Tip: Galleries with high ceilings are lovely but they mean more steps: 96 over two and a half levels. Moscow's public toilets are above average and invariably tucked underground in the Kremlin and parks. "Paper optional" after midday. Tip: Ranged from 18 to 30 steps down. 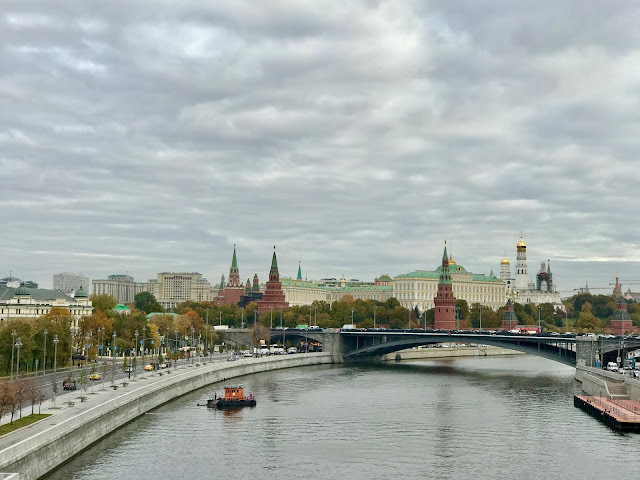 Canal Cruises are an enjoyable way to see Moscow from a different angle. Nippy but quite dramatic at night. Tip: Ours was 20 steps down from street level. 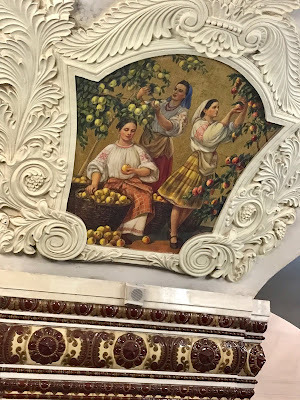 The Metro lives up to its reputation with marble floors and walls, chandeliers, mosaic, often propagandized art. 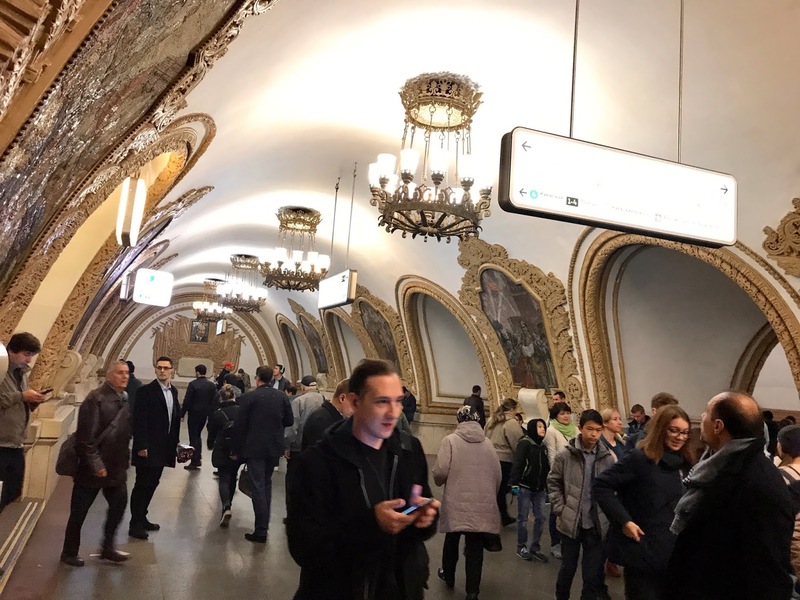 Stations crowded but spotlessly clean, cars even more crowded. These lines are deep underground. Tip: Thirty steps down to station at European Center, followed by two long escalators. Standers stay to the right or you will be knocked down by those in a hurry walking down the left side. Amazing post with lots of informative, useful and amazing and images content. Well written and done!! Thanks for sharing keep posting. Hey, Thanks for sharing this interesting information. 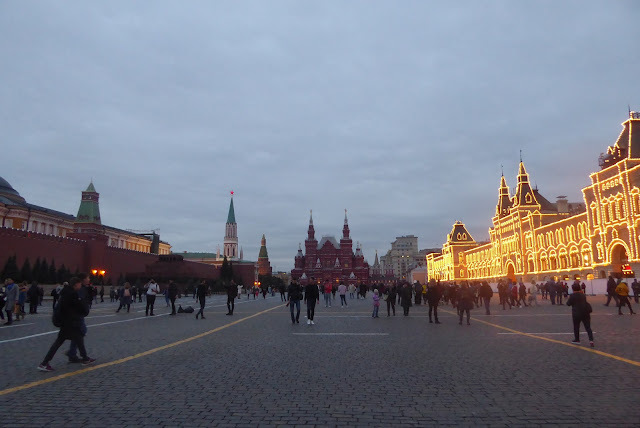 Being one of the most beautiful cities in the world Moscow attracts many tourists from different countries. Nice article and the content is very useful. Glad I was able to read this. And Oh! my favorite among them, is the Canal Cruise :)We'll travel to Russia someday. Awesome Blog! Thanks for sharing this post. It is an interesting post for everyone. I like this post.These pictures are very nice, i will try to visit this place. Thanks to share this blog with us. I enjoyed it. I also want to share one more tourism agency. It's ilovejapan. If you wann travel to japan so you contact this.